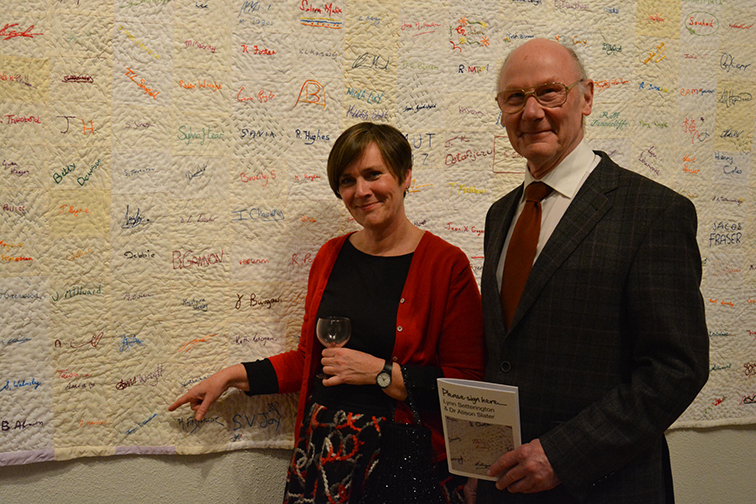 We had a great evening on Friday, it was lovely to see so many people and enthusiastic pointing out of signatures on the quilt. 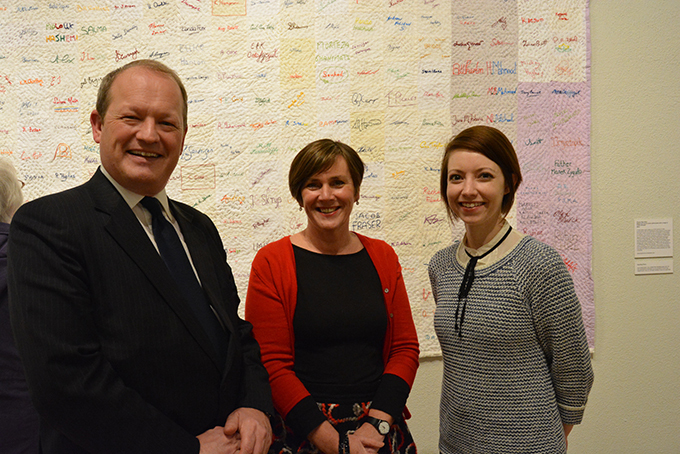 We invited Simon Danczuk the MP for Rochdale well as James Gartside, a local councillor who sewed on the quilt. Lets hope lots even more people make it to Touchstones to see it in person.